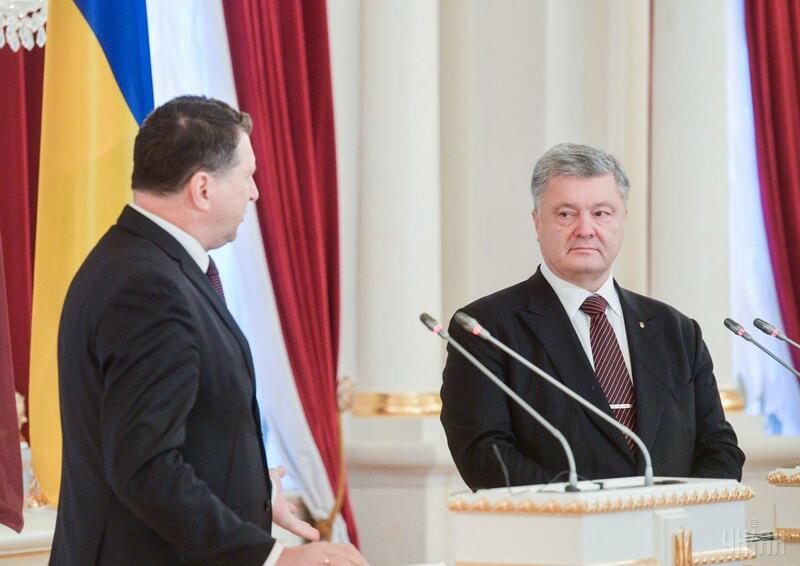 The blockade of the Sea of Azov is another proof of Russia's consistent destructive regional policy, Vējonis said. 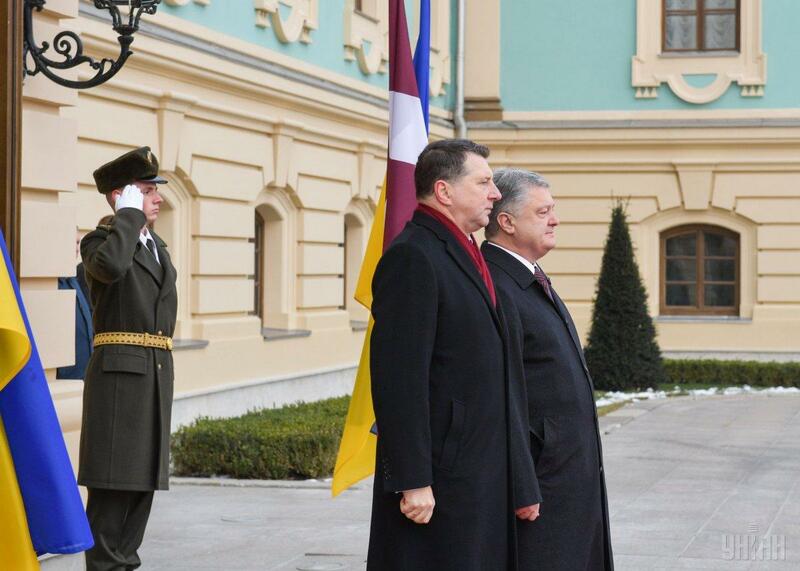 President of the Republic of Latvia Raimonds Vējonis has called on the European Union member states to continue the sanctions policy towards Russia. 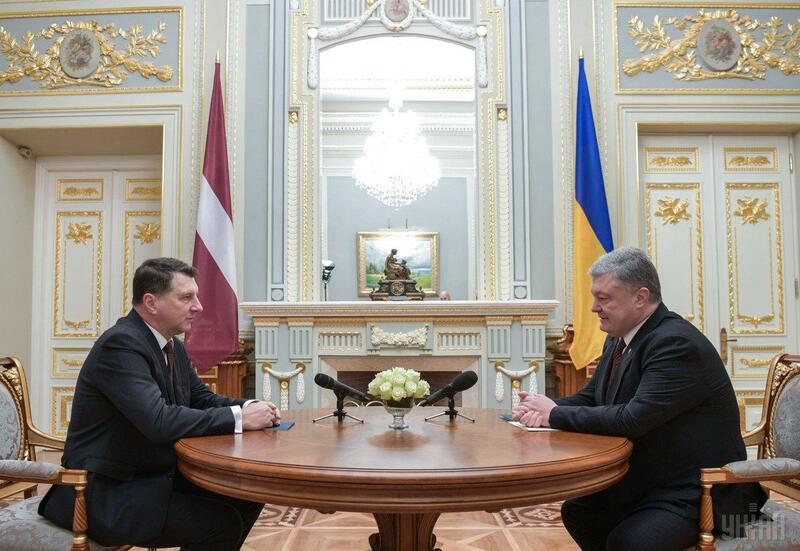 "The sanctions imposed on Russia should be continued until the full implementation of the Minsk agreements," President of Latvia said at a joint briefing with Ukraine President Petro Poroshenko in Kyiv on Saturday, November 24. 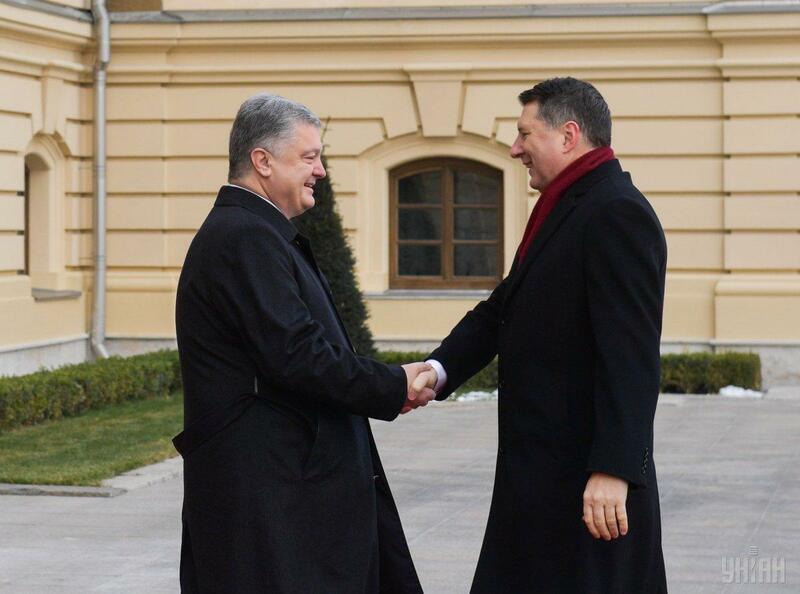 According to Vējonis, he discussed with Poroshenko the security and humanitarian situation in the occupied territories of Ukraine. 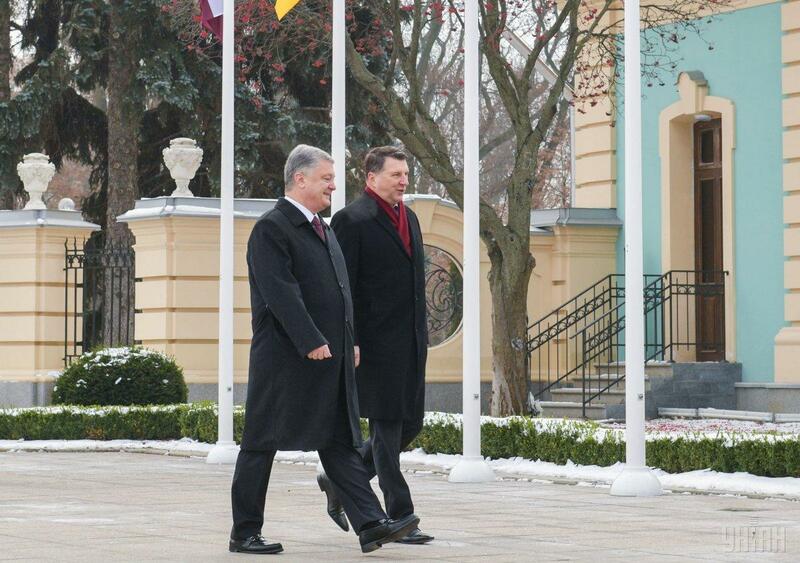 "Latvia strongly condemns Russian aggression in Donbas. 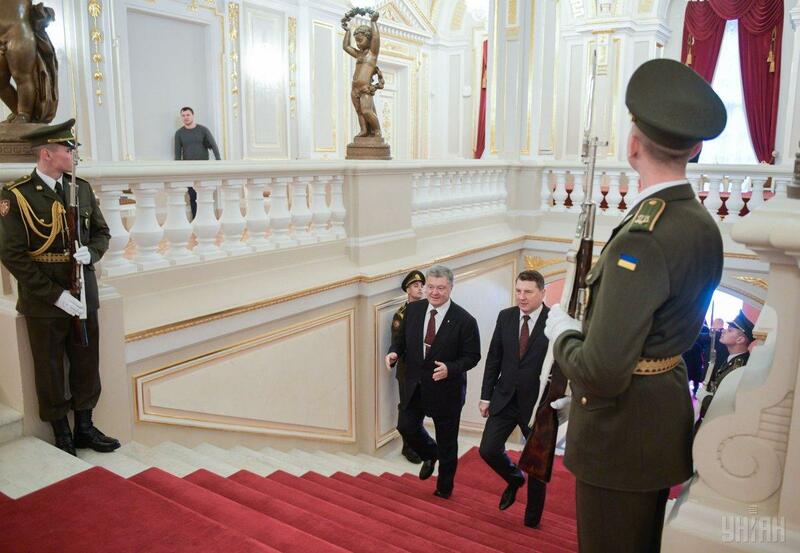 Unfortunately, Moscow does not take any steps towards de-escalation," he said. 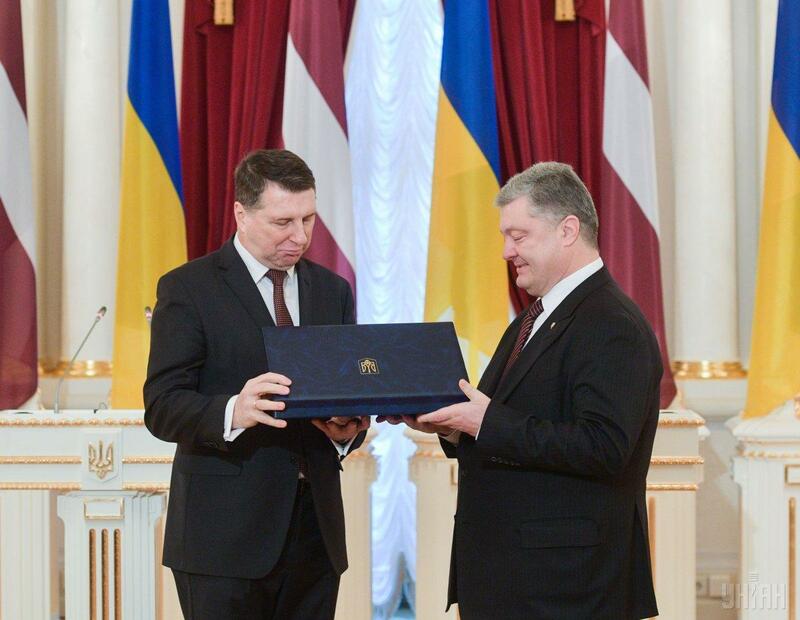 According to Vējonis, the blockade of the Sea of Azov is another proof of Russia's consistent destructive regional policy. 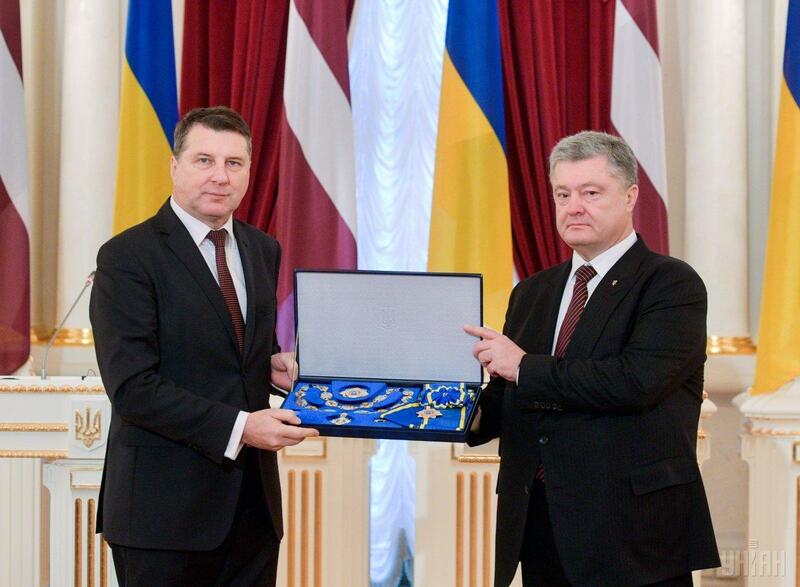 "Latvia strongly supports the position of the European Union regarding the non-recognition of the unlawful 'elections' in the territories of Donetsk and Luhansk regions uncontrolled by the Ukrainian government," he said, adding that Latvia continues fully supporting Ukraine's sovereignty and territorial integrity. 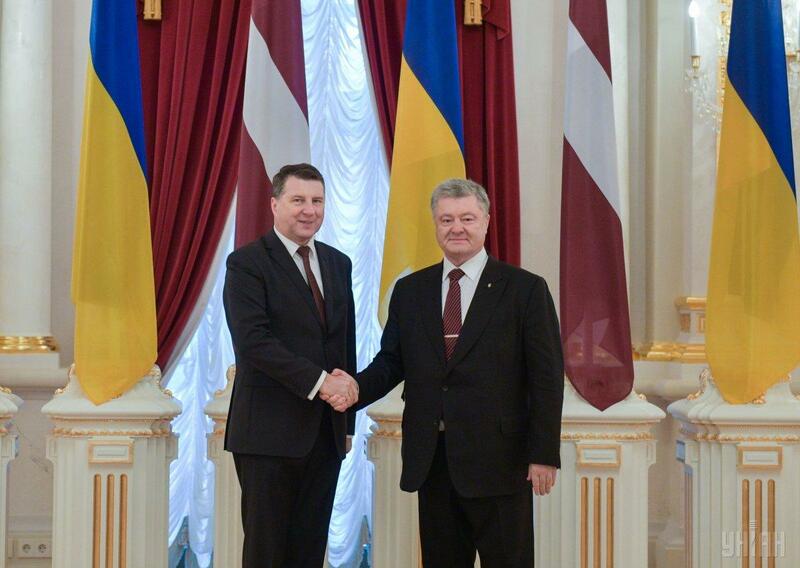 Vējonis says that Latvia adheres to the policy of non-recognition of Russia's annexation of Crimea. 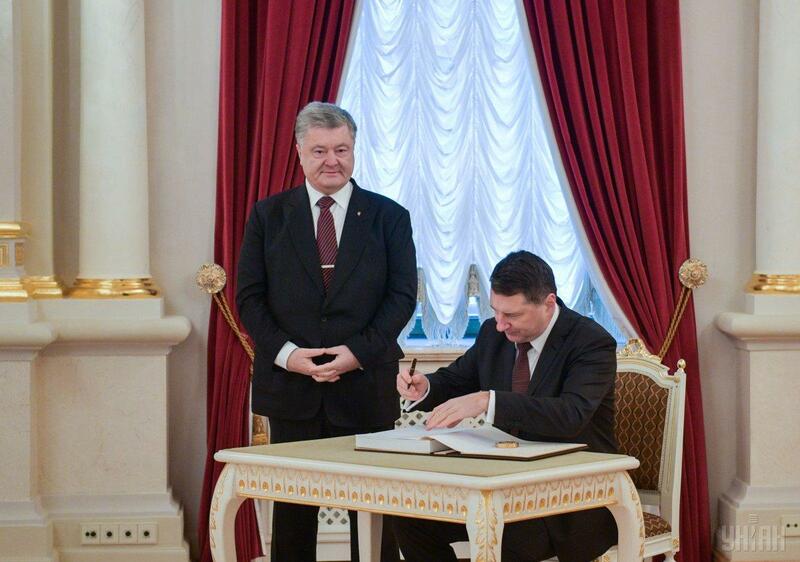 In addition, he called on Russia to immediately release all Ukrainian political prisoners. 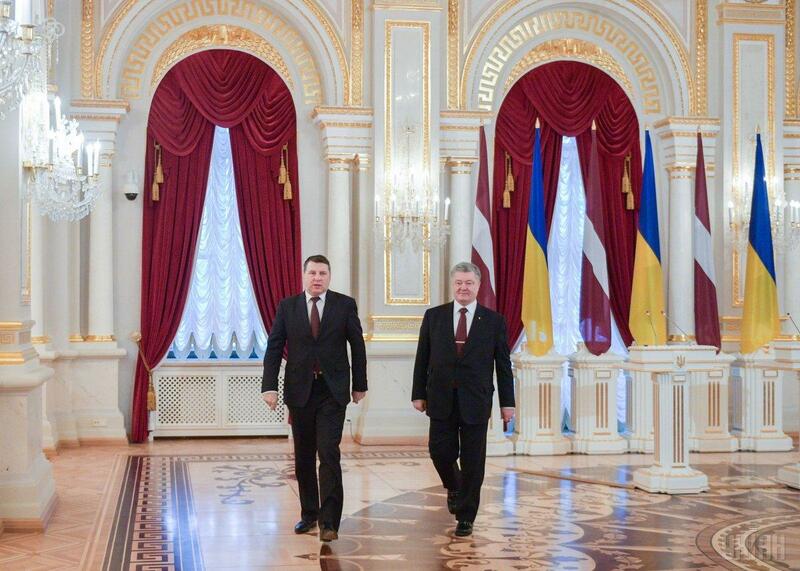 Vējonis also said that during the visit to Ukraine, he would meet with the leaders of the Crimean Tatars. 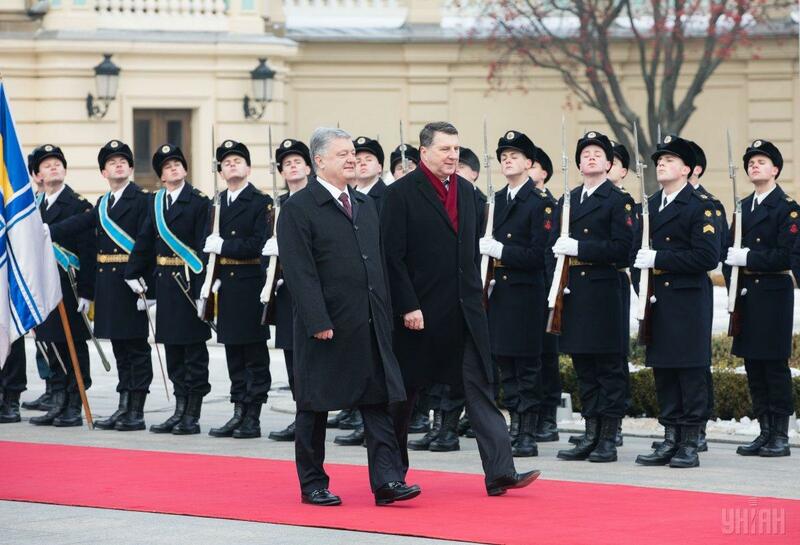 "We are concerned with the limitations of the rights of Crimean Tatars and their persecution on the peninsula. International human rights observers should have full access to the peninsula," he said. 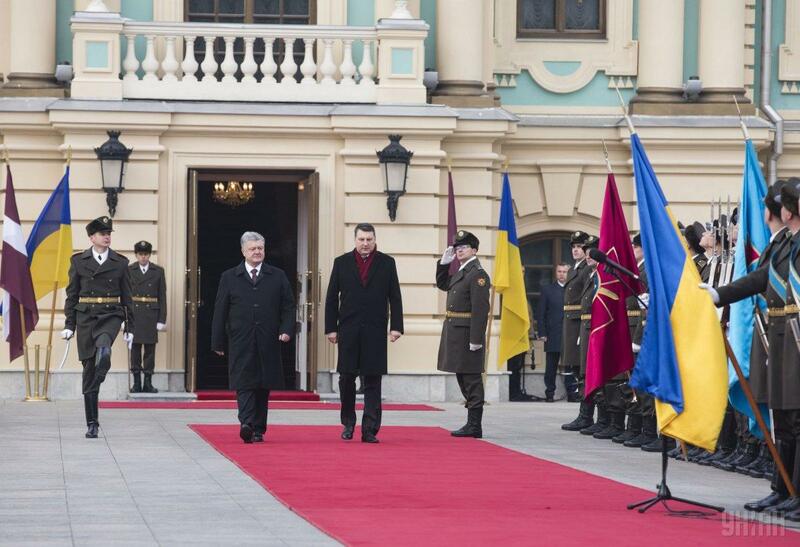 "We have repeatedly called for the immediate release of all Ukrainian political prisoners detained in Russia, as well as in the illegally annexed Crimea," he added.